Here’s an unusual mix: cyberpunk and fairy tales. The “faeries” in this story are virtual entities that live inside computer systems. And the protagonist’s job consists keeping systems safe. After a quick inspection he suspects that the real problem is located in a certain area but when he tries to access it the client refuses. He gets paid for what he’s done and that should be it. Of course, he won’t just walk away. “Leaving millions of systems open to fairy infestation,” I said. “What if John gets into the second burrow and the creature is more than he can handle?” Delphi said. “Then we’re in deep trouble,” I said. It should be noted, by the way, that the author never tries to overwhelm the reader with technobabble. Everything is very clear and understandable. The protagonist even has a sidekick who inserts comments – in the form of footnotes – that sometimes clarify the technical aspects of what’s going on. There are many other times when said sidekick is just disdainful towards the protagonist. Perhaps this is supposed to convey what a modern woman she is. There is yet another odd thing that I should mention about this unusual book. 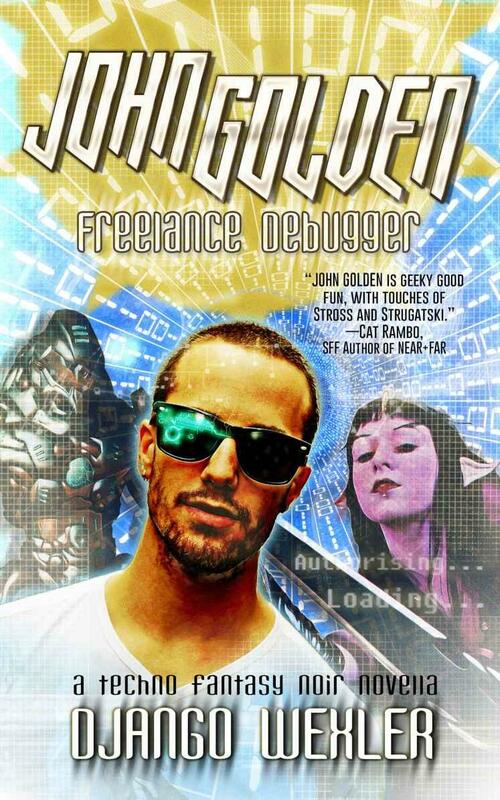 No less than five other books about the protagonist are mentioned in John Golden: Freelance Debugger. But of all of them I could only find John Golden and the Heroes of Mazaroth, which was published in August 2014. The others (John Golden and the Devil’s Advocate, John Golden and Portia’s Solution, John Golden and the Hundred Duck-Sized Horses (And One Horse-Sized Duck), John Golden and the Heroes of ProgressQuest), apparently, remain unpublished.